Celebrate Your Heart–February is Heart Month! We know this: eating well, exercise, and relaxation are integral aspects of optimal heart health. What does that look like for you? How do you bring balance into your daily life to include a satisfying effectiveness in your personal and/or professional environment–as well as the essentials: shopping for and cooking healthful meals, moving your body on a regular basis, and cultivating a routine quieting/self-soothing practice? Each of us will take care of our physical and emotional hearts in our own way, using our unique perspectives, priorities, and resources to cultivate the balance that will support our heart health. This individuality fits in to the framework of the essentials. 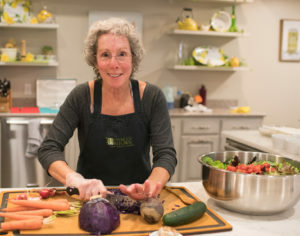 Eating well, shopping locally, and avoiding processed foods are topics that are adequately covered in other areas of my website as well as many other external sources; I am inviting you, in this article, to contemplate the opportunities around fitness, quieting, and positivity. Routine fitness is important. It need not be Olympic effort, it’s the duration of each session and the frequency with which you exercise that is relevant. Choose an activity that is pleasurable, comfortable, and convenient, and one that can be done for (ultimately) 30-minutes non-stop, and 4 – 6 times per week. Individualized exercise programs are determined by current level of fitness and general health considerations. Your physical heart health is benefitted by eating well and exercising regularly, yet there is a greater value to nurturing your emotional heart health. Studies validate that feelings of joy, contentment, and gratitude are associated with a commitment to being well, which leads to healthful daily life choices. The same studies demonstrate that feelings of anger, sadness, loneliness, and resentment are closely linked with unhealthy daily life choices and ultimately, with disease. That’s powerful medicine—within your thoughts and emotions lays the ability to change your physiology. Experiencing daily joy and gratitude is a practice…and the more often it is invited and its presence acknowledged, the more familiar of a perspective that will become. Within this experience, the physical body responds by decreasing catecholamines (stress hormones), lowering systemic inflammation, softening blood vessel to lower blood pressure, slowing down the heartbeat, and changing brain activity from busy/hectic to quiet/relaxed. That shift in our physiology, related to the positivity of joy and gratitude, creates the pleasant-to-navigate path to optimal health and well-being. Celebrate your heart: move through the day with mindfulness, sit quietly, express gratitude, share blessings, and honor your physical self with nourishing foods and activities. Because your heart matters!